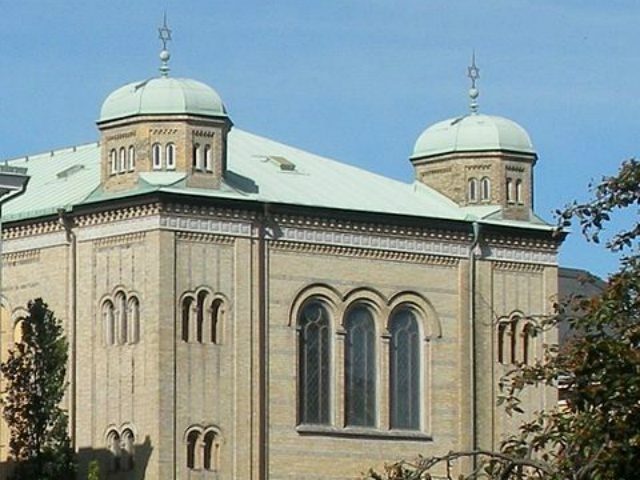 A group of around 20 masked men hurled firebombs at a Gothenburg synagogue Saturday night, hours after an anti-Israel march in Sweden’s second largest city. Chairman of the local Jewish Assembly Allan Stutzinsky reported that around 30 young people were attending a party at the synagogue during the attack, and fled to the basement for safety until police arrived. “There were dozens of masked people throwing burning objects into the courtyard,” he told local media, adding that rain that night helped prevent the building from catching fire. Tonight,Jewish teenagers hide in the basement of the Gothenburg synagogue after firebombs are thrown at the building.I ask you FM @margotwallstrom & PM Löfven – why will you not protect us Jews?Why do you align yourself with those who want us dead?Why are we not worth protecting? Dvir Maoz, a representative of the World Bnei Akiva movement in Gothenburg, said he was greeting young people at the party when he saw “a fireball come flying from the parking lot” at just after 10 pm. “The youths were scared. This was the first time they had experienced any form of terrorism so close to them,” he told the JTA. Speaking to local media, he said a few of the youths were “very stressed” by the evening’s events, with one reporting feeling “very unsafe”. “Another told me casually that because he has a very Jewish name, it causes Arabs in his school to curse him, harass him and spit on him. It’s very hard for him,” continued Maoz. Police say they have arrested three people in connection with the incident, which came after people in Gothenburg marched against the United States’s decision to recognise Jerusalem as the capital of Israel. Earlier on Saturday night, at a rally in Sweden’s multicultural city of Malmö, demonstrators chanted in Arabic about shooting Jewish people. “We have announced the intifada from Malmö. We want our freedom back, and we will shoot the Jews,” some at the rally of around 200 people shouted, according to Sveriges Radio. Justice Minister Morgan Johansson has appealed for help from the public to identify people who called for violence against Jews, stating on Twitter that the culprits must be brought to justice. Elsewhere in the EU, footage shot in Amsterdam on Thursday showed a man with a Palestine flag smashing the windows of a Jewish restaurant with a club and kicking the front door down, before he is seen being tackled to the ground by law enforcement officers on the street.